This post contains standard procedures and recommended workarounds to deal with memory problems on the #Apple iPhone SE (#iPhoneSE) smartphone. If you come across this page while searching for potential fixes to the same concern on the same device, I therefore encourage you to keep reading this entire content and take the chance of attaining the solution you’ve been looking for. It is unusual for new and powerful smartphones to encounter problems on internal storage. But it is unavoidable for new device models without an external memory expansion slot or micro SD card support like the Apple iPhone SE. Nevertheless, there are some inevitable instances when users of such a highest-tiered device would bump into memory problems. In fact, several iPhone owners have reported some issues, in which the device has encountered memory-related errors and prompts including internal memory full, low internal memory, storage almost full, not enough space, and other relevant prompts while attempting to download, install, or save new files to their iPhone’s internal storage system. Low memory issues can arise when you have too many apps installed on your device. Another factor that can cause the same problem to arise on your iPhone is your cache. Your apps accumulate a lot of cache, especially if they don’t have self-cleaning functions. In this case, you have to manually delete caches from the app. There are also other cases wherein a certain software glitch or bug is to blame. Work your way through the steps below whenever you’re all set to start. The following steps will help you determine and resolve the underlying cause of the problem. Be sure to test your device after completing each step to see if the problem is fixed, otherwise, proceed to the next solution available. To view a list of applications that are currently using the system memory, tap Manage Storage. Tap and hold the app icon to be removed or uninstalled. When the app starts to shake or jiggle, tap the X button next to the app you want to uninstall. To stabilize the shaking icons, press the Home key. Note: Some pre-installed applications on your Apple iPhone SE cannot be uninstalled. So if you may encounter some problems uninstalling apps, be sure to check whether or not that app is built-in or not. Often times, a simple reboot or soft reset is all that’s needed to fix a software-related problem or errors like this. This process is safe as it does not erase any of your content or data. Press and hold the Power and Home keys from the Home screen. Release both keys when the Apple logo appears and wait for your iPhone to complete the restart process. Many software-related issues are resolved by a reboot, so be sure not to forget this workaround. You may need to reboot your iPhone several times to see positive results in its performance. Your iPhone has an iCloud Drive feature that lets you access files from your Mac computer or any other iOS device connected to your iPhone. And one way to free up more space on your iPhone is to turn off iCloud Drive. Toggle the iCloud Drive switch to turn the feature OFF. Now, test your device and see if there are any improvements. If there’s none, then continue to the next workaround. Resetting all settings won’t delete or erase any of your data but only your settings and preferences. This denotes that your contacts, photos, music, and calendar events are safe in the process. To reset all settings, go to Settings-> General-> Reset-> Reset All Settings. After your reset all settings, reboot your iPhone and see the result. A complete system restore on your iPhone is very helpful especially if the problem is triggered by a major software error or bugs. Unlike the any other resets, a restore will erase all your contents and data from your iPhone. And so for this reason, creating a backup of your iPhone must be done beforehand. You can backup or make a copy of your iPhone’s data and settings in a file through iTunes or iCloud. After you back up your iPhone, you can proceed to the system restore. You may opt to restore your iPhone from a previous backup or set it up as new or factory defaults. If the problem begins after software update is downloaded and installed on your device, then most likely that is the culprit. If this is the case, then your options are either to restore your iPhone from a previous backup or wait for the next iOS update to roll out. If the latter is your choice, then you should contact your carrier or Apple Support to escalate the problem you have. That way they can tag it among the priority issues to address in the next iOS patch. Other users found that the memory issue they had was triggered by a significant number of piled iCloud changes in its journal. In this case, all they did to fix the problem was to force iCloud backup to free up space. If you want to give this method a try, you would need to connect your iPhone to a power source, connect to Wi-Fi, go to iCloud, and then select the option to ‘Back Up Now’ in the iCloud Settings. Another pertinent recommendation is to turn off iCloud Storage Back Up, then sync your iPhone with iTunes, and then turn iCloud Backup back on. Use of memory enhancement and boosting tools available for your iPhone. There are a lot of tools like data recovery software designed to help manage internal memory of your iPhone SE. All you have to do is head on to the App Store and pick the best software for your iPhone. Generally, these tools integrate functions to clear up junk files, remove temporary files, compress photos, delete duplicate files, and permanently erase deleted files to free up more space of your iPhone’s internal memory storage. Delete all unused photos, videos and other multi-media files that are no longer in use. Clear apps cache. Highly recommended to apps you frequently used like social media apps. Clear browser apps history and website data. Regular clearing of cache and cookies from your iOS browser can also help. Uninstall and re-install apps. This is recommended especially if the problem is specific to an app. For example, the app crashes or keeps freezing. Delete old or unnecessary messages. You may think that text messages do not need a lot of space but actually they can use up gigabytes of storage in your iPhone over time. So if you are among those who love sending and receiving photos through text messages, then you should consider deleting old messages from your inbox too. If the problem persists after doing all the above-mentioned workarounds, then it’s time to contact your carrier or Apple Support and escalate your iPhone’s memory problem for further assistance and recommendations. 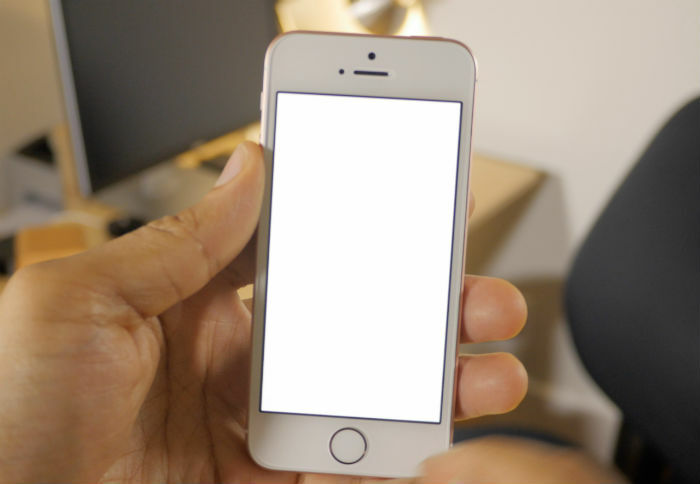 If you have other issues with your Apple iPhone SE, we are always willing to help. Contact us through our iPhone issues questionnaire and provide us with all necessary information about your problem so we can find a solution to your issue.